The Irish Sub-Committee of the Parliamentary Committee on Inland Transport sat in Cork City Hall on Saturday morning, 14 September 1918 to examine evidence on economic interests in southern Ireland. The sub committee was sent to investigate and report upon the facilities for transport offered by the port and canals of Ireland, and to make suggestions for their development. The members of the committee comprised high ranking politicians with commercial background, which included Sir Arthur Shirley Benn, M.P., Chairman Colonel John Gretton M.P., Mr William Field M.P, Mr W. A. Lindsay M.P., Mr M. Keating M.P., Mr Walter Hudson M.P. and Mr P. J. Hannon. The Lord Mayor Councillor Thomas Butterfield welcomed the members of the committee, especially the chairman Sir Arthur Benn (1858-1937). Sir Benn was a Corkman from Eglantine House on Douglas Road. Arthur was the Eldest son of the Rev. John Watkins Benn, rector of Carrigaline, and Douglas, County Cork. Arthur had a prominent career in commerce and politics. For many years he lived in the United States and Canada, and was Vice-Consul at Mobile, Alabama, from 1898 to 1902. Arthur became a member of the London County Council in 1907. During the First World War he acted as honorary treasurer of the National Committee for Relief in Belgium and was made a Commander of the Order of the Crown of Belgium in recognition of his services. The core statement at the Cork meeting was taken from Mr James Fawsett who was representing the Council of the Cork Industrial Development Association. He summarised the monthly bulletin of the Association for February 1918 which set out the challenges and known data concerning the future of shipping in the region but in particular (1) the situation of Cork Harbour, (2) the harbour’s facilities for shipping, (3) the character of the trade and commerce that passed through the harbour and (4) the advantages which it offered for the successful conduct of international trade, especially after the war. James Fawsett outlined that for very many years before the war Cork was the North Atlantic mail port, and as such served the commerce of Western Europe and North America. In pre-war days the port accounted, for two-thirds of the foreign shipping using Irish ports. It was popular with ship-owners. 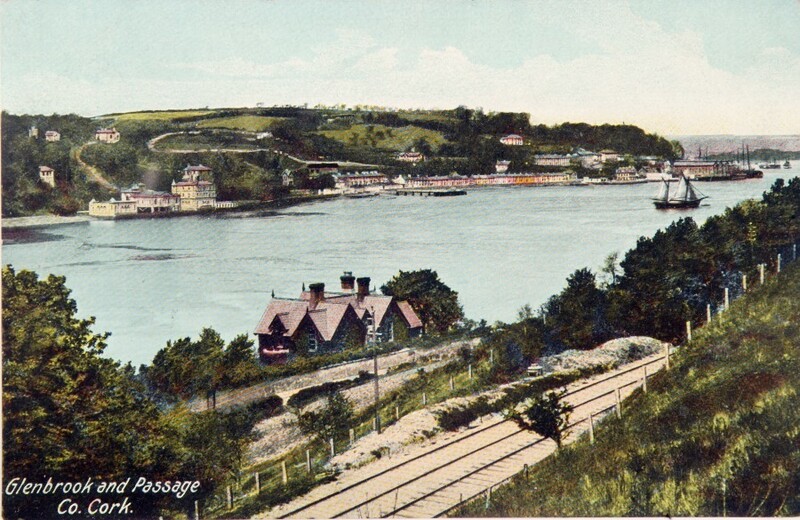 It was served by railways with sidings along the deep-water quays both at Queenstown (now Cobh) and Cork. The railway lines connected with other trunk lines of the country. The harbour’s spaciousness and security for shipping made it stand prominent among western European ports. Some of the largest ships afloat, at the outbreak of the war availed regularly of its safe anchorages, entering and leaving at low water spring tides. In addition to the Admiralty Dockyards at Haulbowline, the ship-repairing yards at Passage and Rushbrooke operated by Messrs Furness Withy and Co., Ltd, a firm eminent in international shipping, were doing well. Reconstruction of ships and their equipment especially of vessels up to 620 feet in length and of 80 feet in width, were completed with efficiency. Thinking towards the future, with vision and the continual development of proper facilities, James Fawsett saw Cork as being the leading largest ship port region in Western Europe. Within the city’s docks, he deemed that the contemporary equipment of the port for handling cargo and the transport of goods was inadequate. For the quick, cheap, and efficient loading and discharging of vessels, the port and harbour required the aid of modern powerful machinery, fixed but flexible. Larger and more powerful cranes were necessary on the quays for the handling of heavy and bulky cargoes and to encourage shipbuilding. The expansion of the trade of the city called for additional wharfage and storage accommodation, in particular extending from the new Ford factory complex eastwards to the Marina. James Fawsett laid stress on the financial losses sustained by traders owing to the congestion of goods for Cork in certain English ports, notably those of Liverpool and Fishguard. Foreign goods, for example from America, intended for Cork producers and distributors, passed by the port of Cork and were taken on to Liverpool. There the ships discharged, and the goods were transhipped to Cork. Mr Fawsett also dealt with the fishing industry and its challenges in the coastal region. The great bulk of the fish consumed in the country came to Cork from British fishing ports. He highlighted that Cork Harbour was admirably situated to be the home base for a large fleet of trawlers, equipped with all modern appliances. Facilities for the handling, curing and packing of the fish on a large scale should be provided at Queenstown, from which it could be distributed quickly to the different markets. The fisheries at Youghal, Ballycotton, and Kinsale were in a decaying condition, due mainly to antiquated boats and gear, and to the lack of proper transit facilities for the fish at the landing places in such centres. To James Fawcett, Berehaven in West Cork was capable of very considerable development, and, provided it be linked up with the main trunk line of railway, for example to Mallow Junction, it could play an important part in the commercial future of the country. 965a. 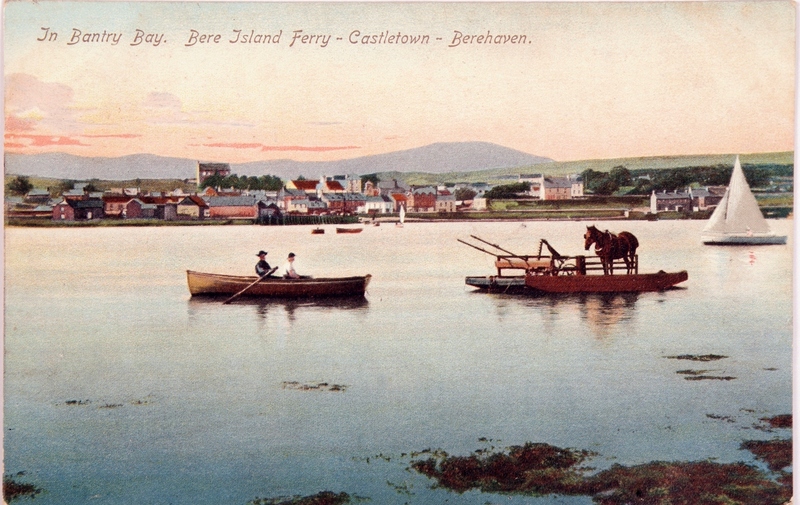 Bere Island Ferry from Castletownbere, c.1900 from West Cork Through Time by Kieran McCarthy and Dan Breen (source: Cork Public Museum).